There was a ceremony in Calumet this past Tuesday to mark the 100th anniversary of the Italian Hall disaster, and all around the country there were news articles, blog posts, TV shows and radio programs about the trouble in Calumet on Christmas Eve, 1913. There was, first of all, Bill Meyer’s remarkable review of the film, which I cited in a previous post, likening 1913 Massacre to Strange Fruit and Bill Moyers’ Amazing Grace. Michele Bourdieu published a thoughtful piece based on an interview she did with us back in October, when we showed the film at Michigan Tech. Bourdieu includes video clips from the interview and deals with both the story we tell in 1913 Massacre and the filmmaking process. 2013 has been a big year for 1913 Massacre. Thanks for being part of it, and Happy New Year to all. Seamless editing, engrossing interviews and a stirring well-integrated music soundtrack make the film flow like long lost friends catching up on history. Arlo makes the point early on that it was folk songs where people learned about working class history, such as this tragic event, that may have been forgotten to the world otherwise. This movie could be called a “folk movie” as it tells the story in the same dramatic and powerful manner. It joins the ranks of great progressive movies based on famous songs, that include Strange Fruit, about the song about lynchings written by Abel Meeropol and made famous by Billie Holliday, Alice’s Restaurant based on Arlo’s famous song, and Bill Moyer’s Amazing Grace, a probing study of the history of the classic hymn. Sometimes during the Question & Answer periods after screenings of 1913 Massacre, people ask why the tragedy held the town of Calumet in its grip for so long. Why did the memory of the Italian Hall disaster last? 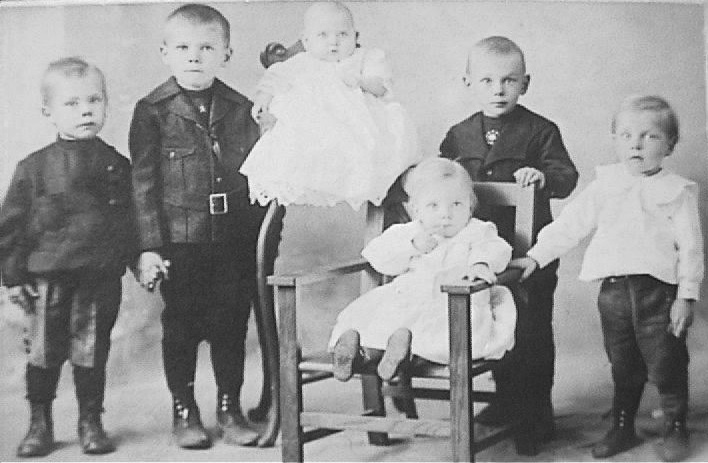 Why did it take so long for the town to come to terms with what happened on Christmas Eve, 1913? Why couldn’t the town just let go? Why does it still matter, 100 years on? HARI SREENIVASAN: So, as you approach this dark anniversary, what’s — what’s going through your mind? NICOLE HOCKLEY: The one-year mark, the six-year mark, it doesn’t change anything. It’s a passage of time, but at a time and place where time doesn’t really have much meaning for me, because it’s just one more day that Dylan’s not in my arms. And that’s not going to change. Hockley’s hit on something important here that shouldn’t be overlooked. We expect time to heal all wounds. But why should a year, or six years, or twenty years be enough? Why should 100 years? How much time is enough to make up for one mother’s loss of a child, or twenty children, in the case of Newtown — or fifty-nine children, as in Calumet? Our fast-paced media moves on from stories like these in a matter of days; but parents and towns and communities don’t. “Time,” as Hockley says, “doesn’t really have much meaning” for them. It can take years, decades, even longer for this kind of grief to unwind and for people to recover from this kind of trauma. 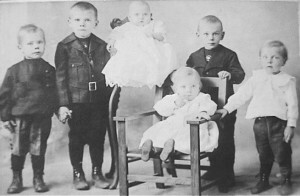 The Heikkinen boys, three of whom died at the Italian Hall on Christmas Eve. Alice Marzolino tells their story in the film. Mother Bloor, the socialist organizer who wrote the book where Arlo’s father Woody first read about the Italian Hall disaster, described the events she witnessed in Calumet in a chapter she entitled “Massacre of the Innocents.” She borrows the phrase from the start of the Christmas story told in the Gospel According to Matthew, where Herod orders a slaughter after learning from the Magi that the King of the Jews has been born in Bethlehem: they have seen his star in the east. The title is meant to confer biblical significance — world historical importance — on the events of Christmas Eve, 1913. This wasn’t an idle threat. Six months ago people of the copper country of Michigan would have been proud to say in the outside world, I am from the copper country of Michigan. We had a happy community. There were no murders, no disorder, no lawlessness. See what has happened in four months? It has been brought about by whom? By men who have been hired to come here and spread their poisonous slime. Five months into the strike, the hope remained that if troublemakers from outside the district could just be sent packing, people would have a chance to settle down. “Wise counsel is prevailing,” wrote a local newspaper editor, as late as December 20th; “conservative citizens are playing a major part toward bringing the struggle to an end.” If people could just come together without outside interference, went this line of popular argument, the community might recover its balance, and find a way out of the mess those outside men had made. Everybody could be happy again. Since the actual facts of the tragedy are impossible to discern, the film instead focuses on how the events are remembered and how that memory becomes internalized in a community. It is memory, especially familial memory, that becomes particularly important to the film. It tracks the event through the stories that were passed down from the survivors to their children and grandchildren. 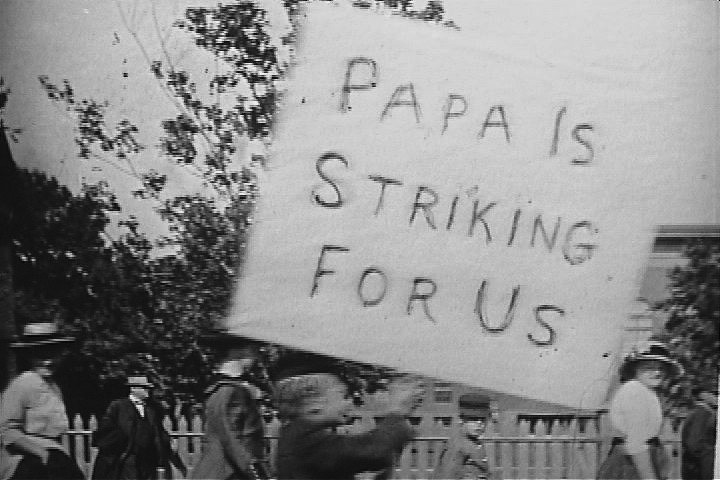 This familial context is then further explored through Woody Guthrie’s song, from which the film takes it title. Arlo Guthrie, Woody Guthrie’s son, is interviewed at length regarding his father and the impact of the song itself. It is apparent by the end of the film that the Italian Hall Disaster, now almost 100 years past, remains a living memory that continues to have a real impact on the community today. Indeed, even the movie itself can be seen as another layer of that memory. It is a recording of voices. Voices that were previously unheard but are now remembered. One of the small treasures I brought back to New York from Lake Superior is Hannu Leppanen and Daniel Schneider’s 2013 letterpress edition of Tyomies, the Finnish workingman’s newspaper published during the strike of 1913. I’ve mentioned the project here before. Daniel set up his Chandler & Price Pilot Press at the Copper Country Community Arts Center in Hancock and turned out a limited edition broadside with the original Finnish text accompanied by an English translation. I was lucky enough to cross paths with Daniel briefly at Michigan Tech last Thursday. I gave him copy of 1913 Massacre and he gave me his Tyomies. Apparently, the bars of the city have already embarked to advocate the interests of the mining companies. In Italian and other language bars, it has been explained to the miners that the Finns have gone to work, and in Finnish bars people have been told that the Italians have not begun the strike. However, this is all a devious lie, by which means they try to create despair among the miners, and thus break their strike. Therefore, workers, do not believe what you are told in the bars. If you want to get information about the strike, you will get the right information in the union office. This confusion of languages and the “despair” it caused helps put Tyomies in context. 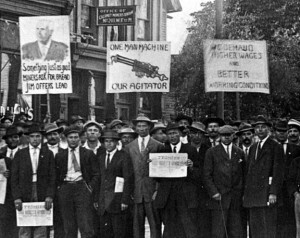 The union-busting disinformation campaign took advantage of the fact that many of the striking miners in 1913 could not communicate with others outside their own ethnic group. The plan — as someone in the audience at the DeVos Art Museum last Saturday remarked — was to generate and perpetuate distrust among the different ethnic groups: Italians vs. Finns, Croatians vs. Cornish, and so on. 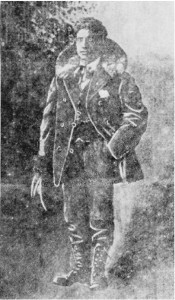 Petriella and his wife Anita came to the United States in 1900, after he had had been fired for his politics from his job as a schoolteacher in Circello, a village in the Italian Campania, in the province of Benevento. He first got involved with IWW, then, in Minnesota, with the WFM. In 1913, we find him in Calumet, in the pay of the Socialist Party. His was probably a familiar face at the Italian Hall. 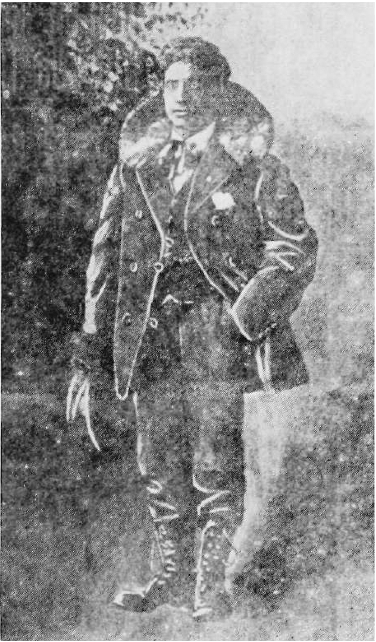 Teofilo Petriella, circa 1907, dressed for the Minnesota winter.